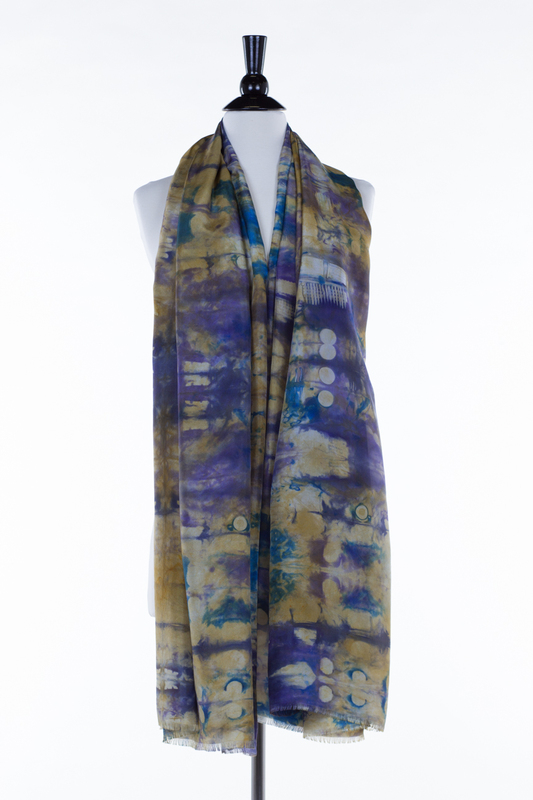 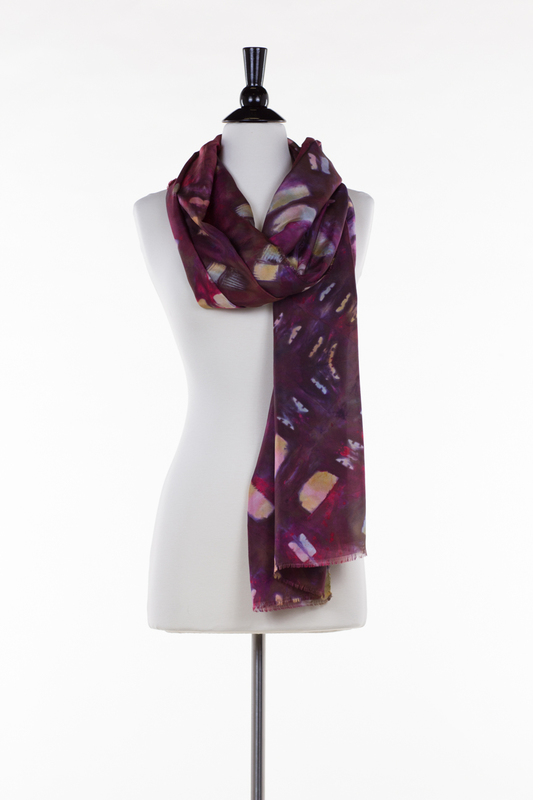 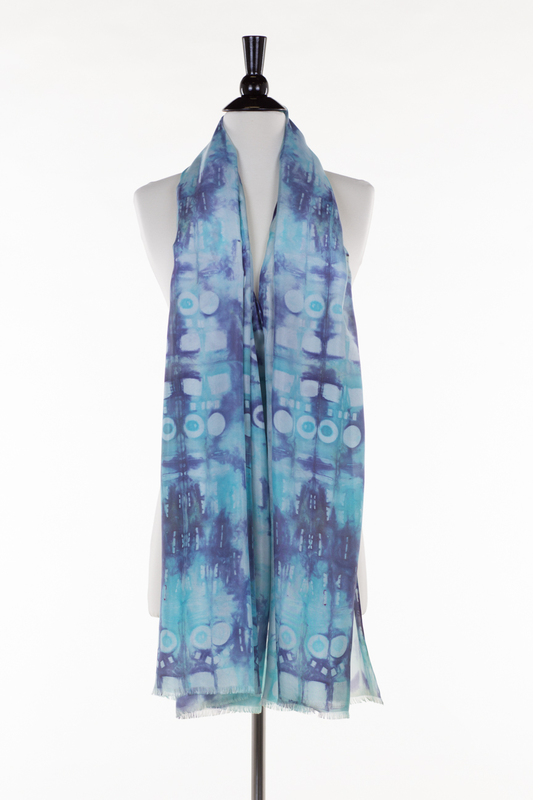 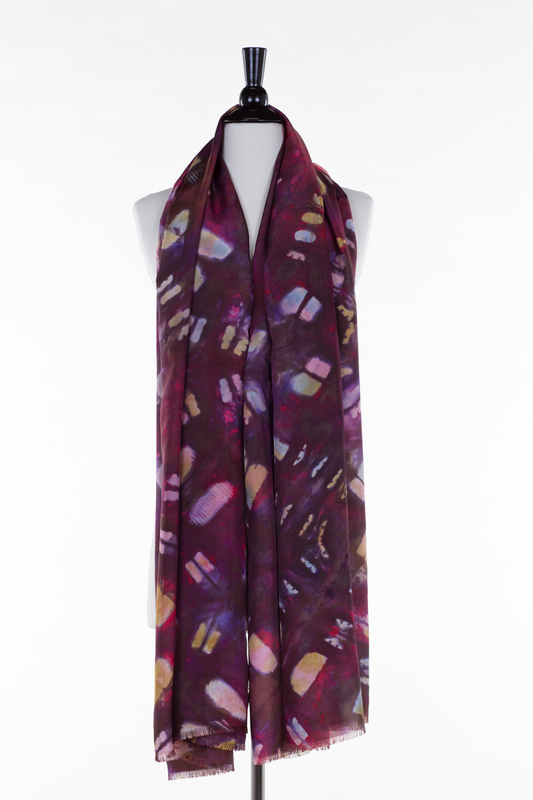 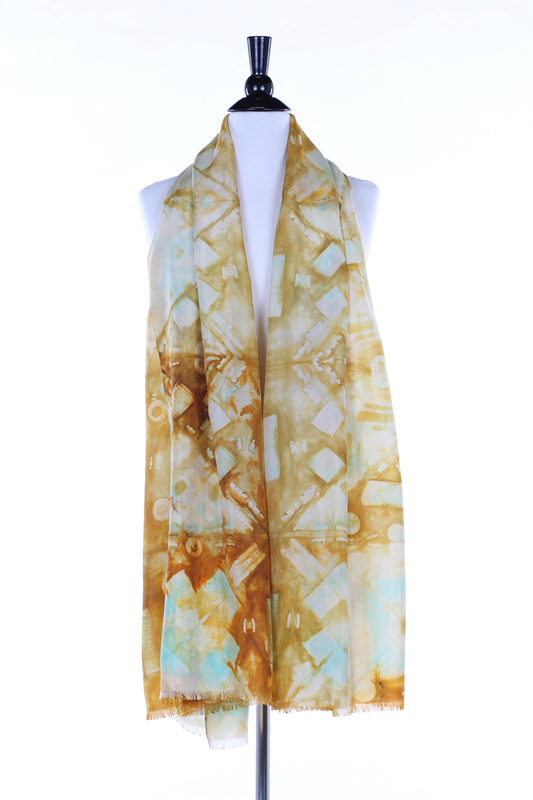 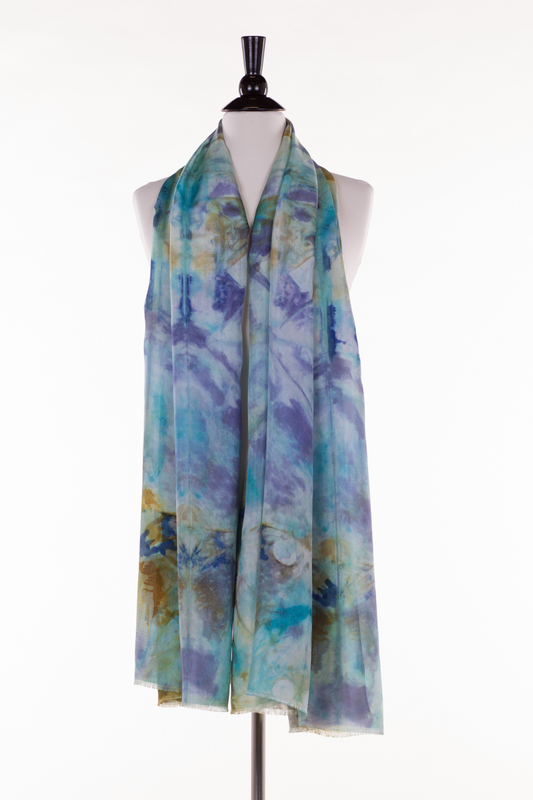 Designed and hand-dyed in Pittsburgh on silk from China, this luxurious scarf remains incredibly lightweight despite its generous size. 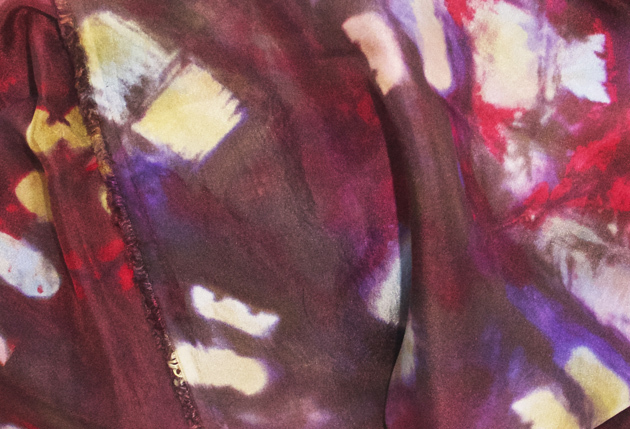 The long, narrow rectangle of smooth silk has gently frayed edges that echo its ombré transitions from cranberry and violet to gold and silver. 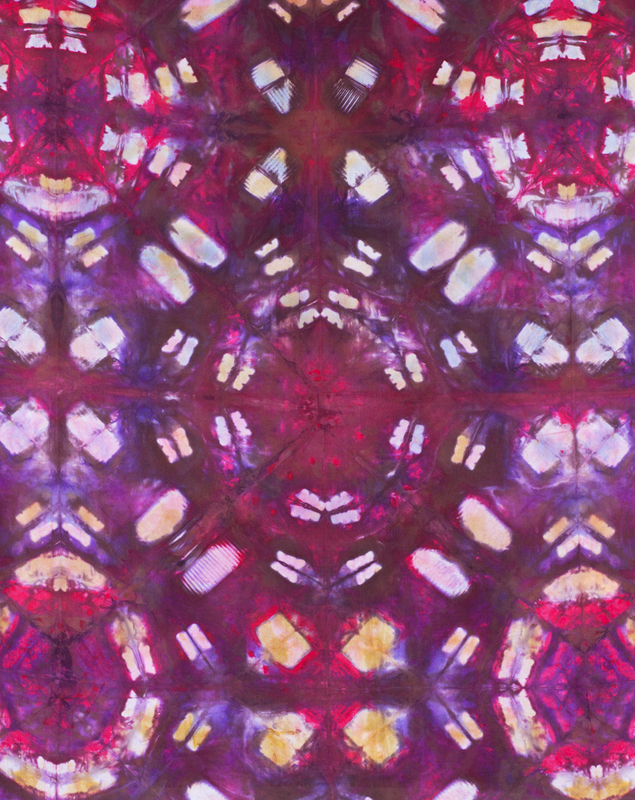 The color palette is cranberry, violet, gold, toffee and silver. 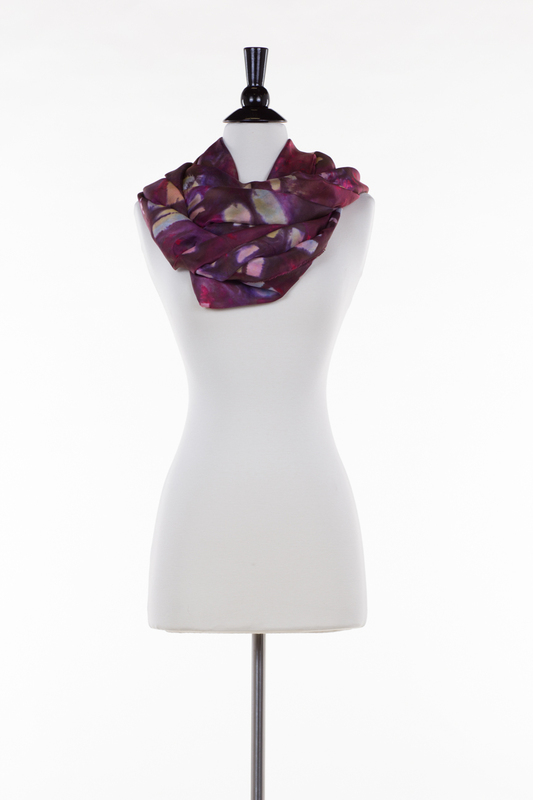 As each piece is unique, the pattern will vary from piece to piece.